Ahead of parliamentary elections in Inda, Safai Karmachari Andolan (SKA), a movement for elimination of manual scavenging, released their manifesto on April 4 in New Delhi. The manifesto lists the specific demands made by the manual scavengers to break the shackles of caste, patriarchy, and for the recovery, reconstruction, and reclamation of their fundamental right to live with dignity. 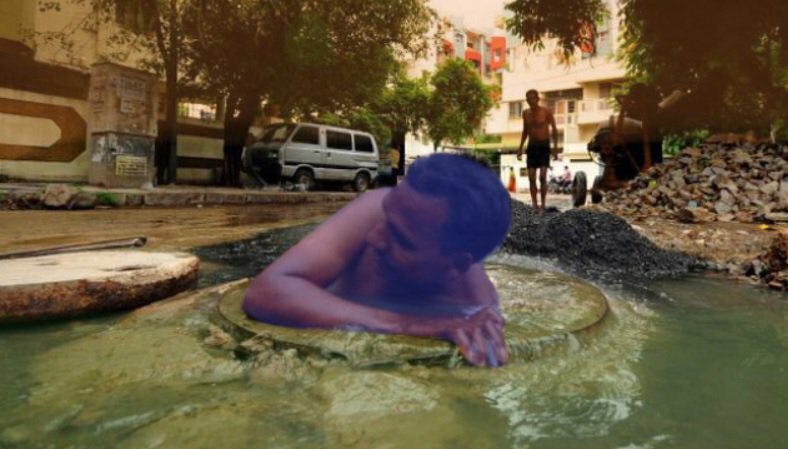 Manual scavenging is a practice primarily seen in the south Asian region. Manual scavengers are forced to clean dry toilets and the sewage system. The practice is based on the discriminatory caste system in the region with people from the ‘lower castes’ forced to work as manual scavengers. Despite various declarations by governments and orders by courts, the practice continues with hundreds dying due to entering the drainage system without any safety equipment. It lists several demands made by the manual scavengers for their liberation from this dangerous occupation, for their rehabilitation, and for ensuring their rights to live with dignity, education, and health. The manifesto has demanded that all manual scavenging and their dependents be issued a Right to Life – 21 (RL-21) card, which will ensure direct and free access to education, health care, dignified employment and livelihoods, and all other benefits and schemes as per the fundamental rights given to all citizens of India. It has also demanded that 1% of the Union budget be exclusively allocated for the welfare of manual scavengers, including their liberation and rehabilitation benefits, and a separate ministry for their release and rehabilitation headed by the Prime Minister. The other demands listed in the manifesto include q pension of Rs 6,000 per month (USD 83) to all manual scavengers who are above 55 years of age. The manifesto also seeks direct access with free admission for the children of manual scavengers using the RL-21 card into any institution and hostels (government, aided, private and foreign institutions) of their choice from primary to the highest level of the education; and direct and free access to any hospital (government or private) of their choice by using the RL-21 card for all their medical needs including the most specialized medical intervention. It has also demanded free water and sanitation facilities for every manual scavenger household. Next Young, dreadlocked or tattooed in Nigeria? Police might harass or kill you.